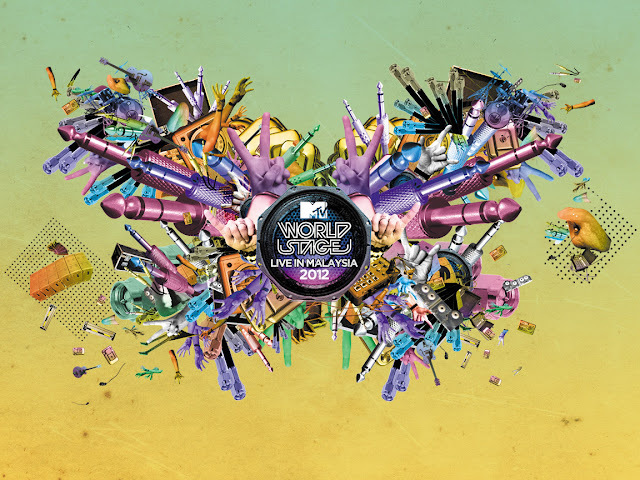 This time MTV World Stage 2012 , Malaysia is happening at Surf Beach @ Sunway Lagoon on 14th July 2012 . The door opens at 3.30pm and the show starts at 6.15pm . Believe it. Fans will see Justin Bieber open MTV World Stage Live in Malaysia 2012 with a bang at the Surf Beach @ Sunway Lagoon on 14 July. This highly anticipated performance, as the only Southeast Asia stop on his “All Around The World” tour, comes hot on the heels of Justin Bieber’s newly released full-length album Believe. I've miss him since last year March 2011 when his live in KL ! Recently fall in love with his "Boyfriend" single.Since its 19 June debut, Justin Bieber’s 4th album has exploded to #1 spot in 30 countries, including Malaysia, Singapore, Indonesia and The Philippines in Asia. His “Boyfriend” music video, at over 89 million VEVO views today, shattered all online records since its MTV premiere on 3 May. Come next Saturday, over 15,000 fans will have the exciting opportunity to witness Justin Bieber’s artistic growth and more mature sound at MTV World Stage Live in Malaysia 2012. For one sensational evening, Beliebers, Korean pop fanatics and supporters of local music will converge at Sunway Lagoon for a night of live performances by Justin Bieber, Jay Park, KARA and Mizz Nina that truly represent what World Stage is all about – bringing the biggest and best local, regional and international artists together on one stage. Promising fans a World Stage that is the most interactive yet, MTV will not only be sharing exclusive moments with social media followers but empowering the audience in attendance to be an integrated part of the music extravaganza this year. Amazing performance by them for this coming MTV World Stage Malaysia! Now there's still a opportunity for you to win the passes and also MEET AND GREET with them! MANY MORE WAYS AND ONE MORE WEEK for you guys to get the PASSES. MTV VJ Holly and VJ Rich will also be giving away the rare and prized meet-and-greet passes for fans to meet their music idols. The road show promises exciting audience games and is the final chance for fans to win access passes from MTV. Sunway Resort City is offering MTV World Stage passes upon purchase of the Sunway Lagoon Theme Park Fun Card. For the enthusiastic shoppers, spending a minimum amount of RM100 from now till 8 July in a maximum of two receipts at the Sunway Pyramid Shopping Mall will also enable them to win passes. Lenovo will be running local contests across Indonesia, Malaysia, Vietnam, Singapore, Thailand and The Philippines where winners will get an all-expense paid package to watch MTV World Stage Live in Malaysia 2012. Xpax customers can grab free passes on a first-come, first-served basis by sending “MTV” to 28881 and reloading RM60 from now until 10 July 2012, or stand a chance to win passes by downloading selected Call Me tones. Customers who sign up to the all-new Celcom First Voice plans, Celcom Broadband Youth Plan and Celcom Broadband Pro Plan from now until 12 July will also enjoy free passes. This gives Xpax and Celcom customers more advantages to rock at MTV World Stage. Twisties is offering different challenges via their Facebook fan page. All visitors have to do is ‘like’ the Twisties page to take part. Hong Leong Bank is offering their first 200 newly approved MTV Credit Card sign-ups a pair of MTV World Stage passes. For their existing customers, the top 50 card members with highest number of swipes will get a pair of passes. Minimum spend for the contest is RM50. Further to this, Hong Leong Bank customers will enjoy up to 20% discount on purchases of MTV World Stage artists’ albums at Rock Corner. Sponsors’ booths will be open from 10am to 10pm while MTV’s stage games will take place from noon to 6pm. don't forget to this when you tweet peep. So guys , here are some Tips & Reminders . 1. Be there EARLY ! as parking spaces are limited and first come basis and also expecting 15,000 crowds. 2. Passes holder below 13 yrs old need to accompanied by adults above 20 yrs old. 3. It's gonna be RAIN or SHINE . Bring a raincoat, an umbrella , sun block lotion or wear a cap . 4. MOST IMPORTANTLY ! Travel Light ! There will be a security check at the door. 5. Dress code , wear comfortably and non slippery footwear as there is a lot of people. 7. Lastly , NO outside FOOD & DRINKS are allowed !